Standard carbon fiber design for sports and everyday use. ACL protection in an off-the-shelf-design. The standard Ossur CTi OTS Knee Brace provides comfort and great ACL ligament protection in an off-the-shelf design. The redesigned brace features a carbon fiber composite frame for protection with any type of activity. The thigh and lower leg padding feature silicone stensiling to prevent the brace from migrating down your leg during while running. The CTi knee brace uses a flexible subshell design to mold to the contours of the leg for a precise fit right out of the box. Accutrac hinges are designed to replicate your knee joint's natural motion and can be adjusted to allow for adjusting extension in 10 degree increments. The tibial sub-shell in the front is used to adjust the hinge depth for positioning the hinge correctly on the sides of your knee. The Ossur CTI OTS knee brace is well suited for everyday activity, as well, as athletics. While the Pro Sport is a better choice for football and skiing black diamond marked runs, the Ossur CTi is perfectly suited for all types of sports where there's a lower likelihood of a high velocity re-injury from occurring. NEW STYLE: new matte finish; more streamlined hinge box design; new tibial sub shell; adjustable alligator clip design for the calf strap; Adjustable D-rings - can be placed on the inside or the outside of the frame for the perfect fit. Standard model is geared for athletics and everyday use. Accutrac hinges with extension stops mimic full knee joint range of motion while allowing adjustable limits to knee extension in 10 degree increments from 0-40 degrees. Ossur CTi OTS has a flexible subshell beneath the carbon fiber frame and an adjustable tibial strap to help capture the tibia and correctly position the hinge depth for a more customized fit. 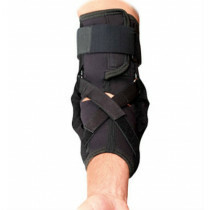 Sensil padding eliminates brace migration down the leg with all types of sport activities. 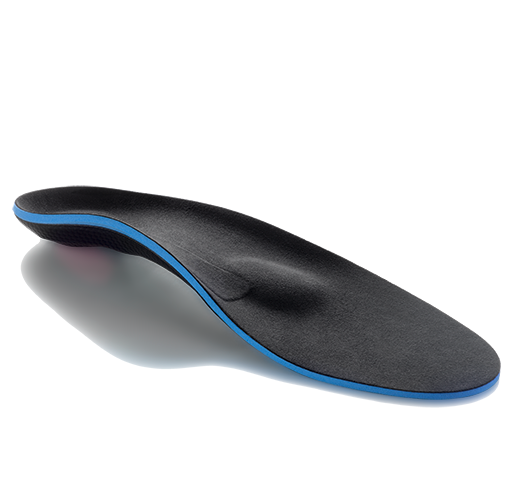 Skin-friendly SensEdge overmolding on all injection-molded parts eliminates pressure points for a comfortable fit. Provides total support/stability for ACL, PCL, MCL, LCL, rotary and combined instabilities of the knee. Matte finish, carbon composite, rigid frame construction provides superior strength to weight ratio for an ACL knee brace. Made from non-corrosive materials designed to hold up in water, even salt water. Suitable for low to high level sports activities. ACL , MCL, LCL, PCL, rotary and combined instabilities. All activity levels including high impact, contact sports. The standard CTI brace is made from carbon fiber for both high strength and lightweight performance; only 21 ounces. I tore my ACL in a basketball game and I new I needed to get some sort of brace to help me get back in the game next season. I tried many braces but this was the best. I was able to get back much sooner and got to play in the league finals. Very fast recovery and good quality. Just started using my new CTi knee brace for skiing and it's the best. I haven't had any problems with it and the new style is even better than the old - Many thanks. Bella. It fits as well as my previous custom brace but for a fraction of the cost! 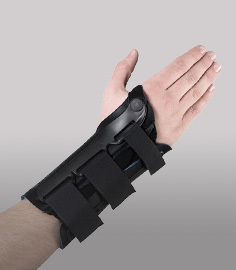 My last brace had straps that irritated my skin but the CTI OTS has extra padding on the straps and softer more flexible cuffs that don't dig into my skin. I needed to use the filler pads on the sides of my knee to get a better fit but other than that I'm really pleased with how it performs out on the water. I have to adjust mine occasionally but not to the same extent as my last brace. Brace has an awesome fit and stays in place. 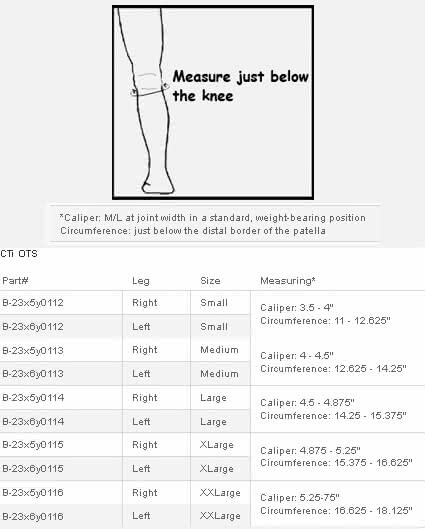 The cuffs flex to mold to your thigh. I didn't have any problems fitting it right out of the box. It comes with extra shims for the knee pads to take up any extra space but I didn't need them. Very lightweight to wear - and doesn't interfere with my skiing at all. Would definitely buy another one after this one wears out. Q: The product details mention a redesign in 2014. Exactly what design changes were made? A: New for 2014: NEW STYLE: new matte finish; more streamlined hinge box design; new tibial sub shell; adjustable alligator clip design for the calf strap; Adjustable D-rings - can be placed on the inside or the outside of the frame for the perfect fit.